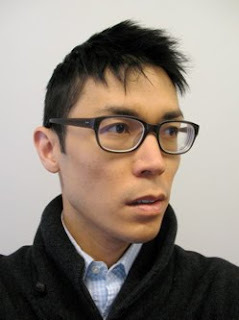 Bio : Christopher K. Ho (b. 1974, Hong Kong) has had solo exhibitions at Winkleman Gallery (2010 and 2008) and GALERIA EDS in Mexico City (2009). 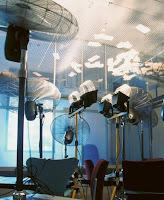 He was included in the 2009 Incheon Biennial, the 2008 Busan Biennale, and the 2008 Chinese Biennial. He has participated in group exhibitions at the Queens Museum, Socrates Sculpture Park, Dallas Contemporary, MASSMoCA at the Berkshire Botanical Gardens and the Delaware Center for Contemporary Art; and internationally at the Freies Museum in Berlin, the Museum of Contemporary Art in Srpska, and the Other Gallery in Shanghai. He received his B.F.A. and B.S. from Cornell University and his M.Phil from Columbia University. "There is a generational biased against the gallery." ** This is a subject that I was not aware of. Some generations viewed the gallery as holding one back in his/she work or hindering you from being successful in a commercial aspect. I never viewed a gallery as being negative no matter what field of art you may be in. I learned about the importance of working projects and the feedback you can get. He was open with the students about his uncertainty of how to describe his project, "Regional Painting" and were he want to go with it. He almost used up as a feedback session to bounce ideas off of and make a more concrete idea of what he wanted to say or not say with his project. He described regionalism as a kind of eddy or side guard adjacent to but coterminous with the mainstream. In its relative calm, absent the need for criticality and originality alike, intuitive painting emerged as a salutary alternative to conceptual, polemical art. Who is E.P. Rothko and why is he important to your work? Is there a difference between you and Rothko? My favorite project that he presented was called "Emptied Treasury." 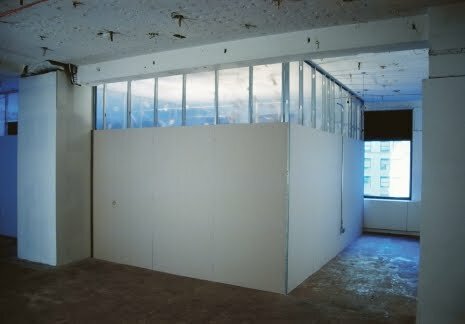 In 'Emptied Treasury,' a newly constructed wall that seamlessly blends with existing drywall partitions at the Lower Manhattan Cultural Council’s Residency Program seals off one of 12 studio spaces, rendering the space physically inaccessible. Inside, 12 industrial fans, blow 1,971 bits of paper—cut from the stock pages of the Wall Street Journal to the size of US currency—in the air. 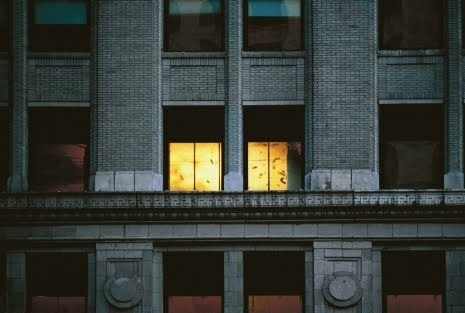 The circulating bills are visible through a 3 1/2-foot clerestory between the top edge of the drywall and the ceiling, as well as through the window from the adjacent public courtyard of the bank Brown Brothers Harriman. A small peephole at 3 1/2 feet allows a glimpse into the room. 'Emptied Treasury' is inspired by the residency's proximity to the New York Federal Reserve, which gained influence after the United States went off the gold standard in 1971. I enjoyed this project because of the amount of detail Ho put into the work. The face that he but out 1,971 piece of paper to represent the United States going off the gold standard is impressive to me and something I would have never considered. In addition, his work is surprisingly simplistic for the message he is trying to send. To build a room, put fans in it and cut out dollar bill sized newspaper does not seem like a large task to but together but when you understand the meaning behind each object it become important and retains value. Looking through a peek hole is also very important in that it is like we are looking into a room we are not supposed to and exposing the secrets within. I like how well thought out everything in his projects are.